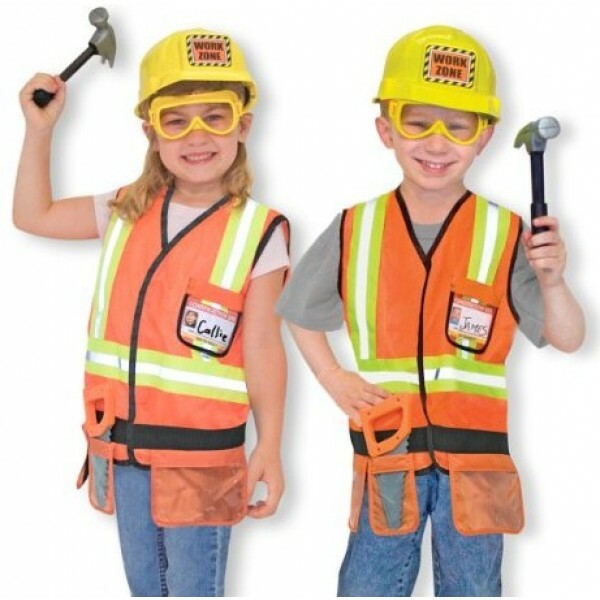 Put little hardhats in the role play zone with our kids' construction worker costume! Includes kids' hardhat and ultra-realistic work zone vest, complete with reflective tape, tool belt, and pockets for holidng tools. And for more building fun: safety goggles, toy hammer, toy saw, and name tag also included. Vest fits most kids ages 3-6.